During the fall of my senior year in high school, I interviewed with M&T alumna Kimberly Gallant (’08) as part of the M&T application process overseen by the Penn Alumni Interview Program. The interview, in my opinion, is an extremely important part of the application. Students applying to the M&T Program are highly skilled in a wide array of activities; however, it is hard show what type of person you are through simply listing your grades and accomplishments and writing a few essays. Instead, the interview is helpful because it makes the application process personal. It is a great opportunity to prove to the interviewer what makes you tick, what inspires you, and what type of character you possess. When the interviewer sees your excitement and passion in person, I believe it tells a much more convincing story than your paper application ever could. Kim works in New York City, and I live close by, so it was convenient for me to meet her in the city for the interview. Going into the interview I was a little nervous and anxious; however, Kim was extremely nice and understanding and after a short time, my nerves had disappeared. We talked for about an hour, touching on all sorts of topics including why I was interested in Penn and the M&T Program and my future career goals. Overall, it was a great experience and I am very thankful that Kim volunteered her time. The interview has turned out to be a very positive part of my Penn and M&T experience. After the meeting in New York, I kept in touch with Kim, checking in with her every once and a while. She has always been available to answer any questions and has offered her opinions on classes, majors, clubs, and activities that are interesting on campus. She has also been extremely helpful in offering career advice and has even connected me with people she knows in different careers that interest me. In fact, during my spring break last year, Kim offered me the opportunity to shadow her during a day at her office. The kindness and resources that Kim has offered me are a microcosm of the overall Penn spirit. The support offered by the school and the alumni are something that makes Penn and M&T so unique. This is a huge reason why I am so happy with my choice to enroll in the M&T Program. 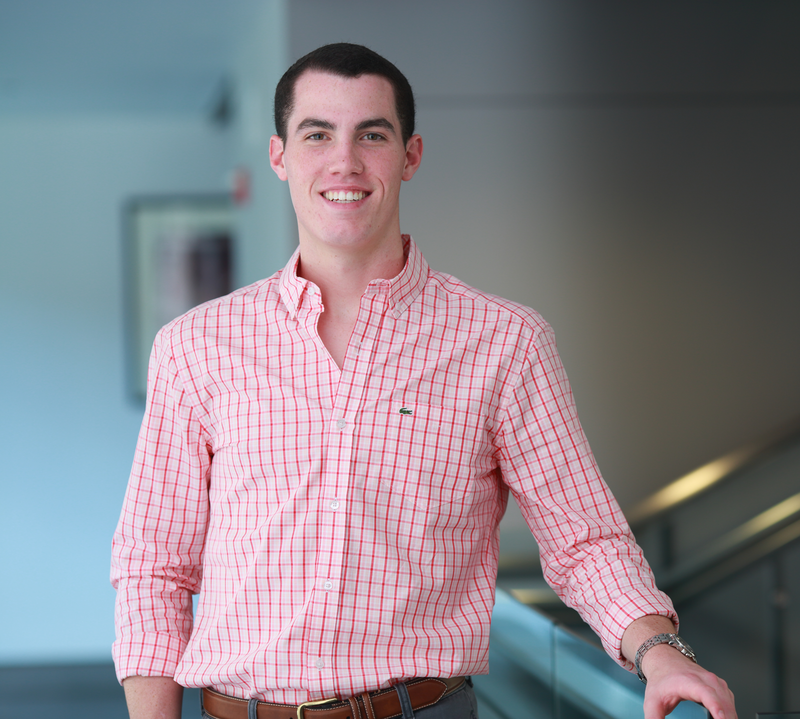 Tim is a current M&T sophomore in the Class of 2016 from Glen Rock, New Jersey. He studies Materials Science within Penn Engineering and has yet to declare his concentration in the Wharton School.